Here are big ticket items to consider when budgeting for your living space. Buying your first home is a big move towards independent womanhood. 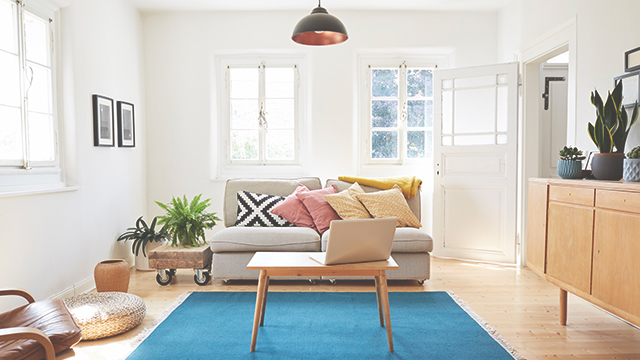 You've probably dreamed about having your own place when you first entered the workforce, and now that you're in your 30s, the idea of having a living space all to yourself can finally come to life. While aesthetics play a big part in planning your first home, it's important to focus on the big ticket items before the little things--these are the essentials that will eat a bigger portion of your budget and are expected to last for a long time. Below are the top four things you should prioritize. Whether it be a grand four-poster bed or a minimalist floor futon, finding the perfect bed to rest on after a hard day's work should be your top priority. Consider one that doesn't make your room look small. For maximum comfort, don't scrimp on your bed sheets and pillows, too--look for beddings that have at least a 200 thread count to ensure a good night's sleep. (The higher the count, the softer the sheet.) Lastly, don't forget your bedside tables to store essentials you'll need within reach just before lights out. When entering your home after work, you'd want your living room to be inviting, calm, and peaceful, and a plush sofa can make that happen. As the biggest item in the room, the sofa dominates the space, making it a good focal point. Go for a living room set that's either composed of uniform pieces for a classic look (neutral colors can easily adapt to future design changes) or assorted ones for a more creative feel. From here, you can find the right accents to complement your living room--a coffee table, end tables, standing lamps, or even an entertainment system. Note that this is where you'll be entertaining friends and family when you invite them over, so you would want to make this space conducive to mingling and conversation. The dining area is one of the key elements of a home, since it encourages a shared experience with your guests. Similar to the living room, the dining area can be designed with a matching set of chairs. Whether in modern metals or warm wood, this simple piece of furniture can easily turn into an heirloom piece you can pass on in the future, too. Create a well-designed kitchen space with modern appliances, and you just might forget about buying take-home dinners and become your own personal chef instead. A well-equipped kitchen makes your living space even more functional as it can motivate you to use as much of the kitchen space as often as possible--opt for a traditional and rustic look with a gas stove or a clean and sleek feel with an electric induction cooker. Whether you cook or not (no better time to learn, either! ), having the basic kitchen equipment will come in handy when you decide to prepare a decent meal for yourself or your loved ones. Designing the interiors of your new home may be overwhelming at first, and you might feel like you don't have the budget to create your dream home. But you've already taken the first step, so don't sell your dream short. Companies like Citi offer personal loan with approvals in as fast as 24 hours, flexible payment terms of up to five years, and no collateral and guarantor needed for as much as P2 million. Citi can help you make your first home be all that you've dreamed it would be and more. Visit the Citi website and Citi Philippines' Facebook page to find out more.